Aside from the Air Jordan 5 “Fire Red” that will be hitting the market early next year, another edition of the shoe has been scheduled for release. 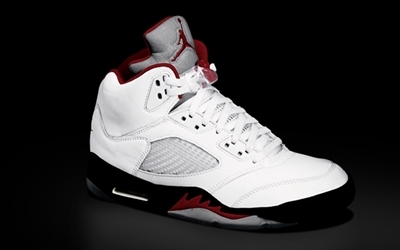 The Air Jordan 5 will be hitting shelves in White/Black-Fire Red on January 26, 2013 for $160. At first look, this kick looks similar to the “fire red”, but one noticeable difference is reversal of black and fire red accents on the outsole of each edition. With this development, you have now to impressive choices to select from, but both editions will definitely give you your money’s worth!